Status: Operational 2007. First Launch: 2007-05-25. Last Launch: 2010-09-26. Number: 3 . Gross mass: 2.00 kg (4.40 lb). Family: Technology, Technology satellite. Country: China. Launch Vehicles: Chang Zheng 2D. Launch Sites: Jiuquan. Agency: SIMIT, Zhejiang. Bibliography: 2. 2007 May 25 - . 07:12 GMT - . Launch Site: Jiuquan. LV Family: CZ. Launch Vehicle: Chang Zheng 2D. Zheda Pixing 1 - . Mass: 2.00 kg (4.40 lb). Nation: China. Agency: Zhejiang. Manufacturer: SIMIT. Class: Technology. Type: Navigation technology satellite. Spacecraft: Zheda Pixing. COSPAR: 2007-019x. Experimental microelectronics research picosatellite..
2010 September 26 - . Launch Site: Jiuquan. LV Family: CZ. Launch Vehicle: Chang Zheng 2D. Zheda Pixing 1B - . Mass: 3.00 kg (6.60 lb). Nation: China. Agency: SISE. Class: Technology. Type: Technology satellite. Spacecraft: Zheda Pixing. USAF Sat Cat: 37166 . COSPAR: 2010-047B. Apogee: 657 km (408 mi). Perigee: 622 km (386 mi). Inclination: 98.00 deg. Period: 97.50 min. Picosatellite testing various systems for later operational satellites..
Zheda Pixing 1C - . Mass: 3.00 kg (6.60 lb). Nation: China. Agency: SISE. Class: Technology. Type: Technology satellite. Spacecraft: Zheda Pixing. USAF Sat Cat: 37167 . COSPAR: 2010-047C. Apogee: 657 km (408 mi). Perigee: 623 km (387 mi). Inclination: 98.00 deg. Period: 97.50 min. 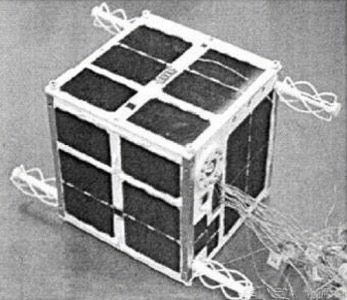 Picosatellite testing various systems for later operational satellites..